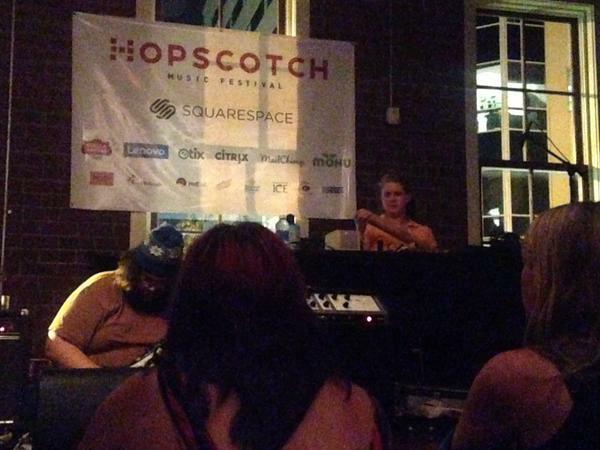 Every year, Hopscotch Music Festival brings over 150 bands to downtown Raleigh. These bands encompass an incredible number of genres and microgenres, local and international. So it can be hard to run triage and decide what’s worth seeing. This year was no different – I saw somewhere in the neighborhood of 40 sets in a myriad of styles: post-metal, electronic, shoegaze, alt-country, drone. It can be hard to remember everything after the fact! With that said, here are my four favorite sets from each day. Wildhoney are from Baltimore, and steep themselves in the powerful noise pop of bands like My Bloody Valentine and Swirlies. 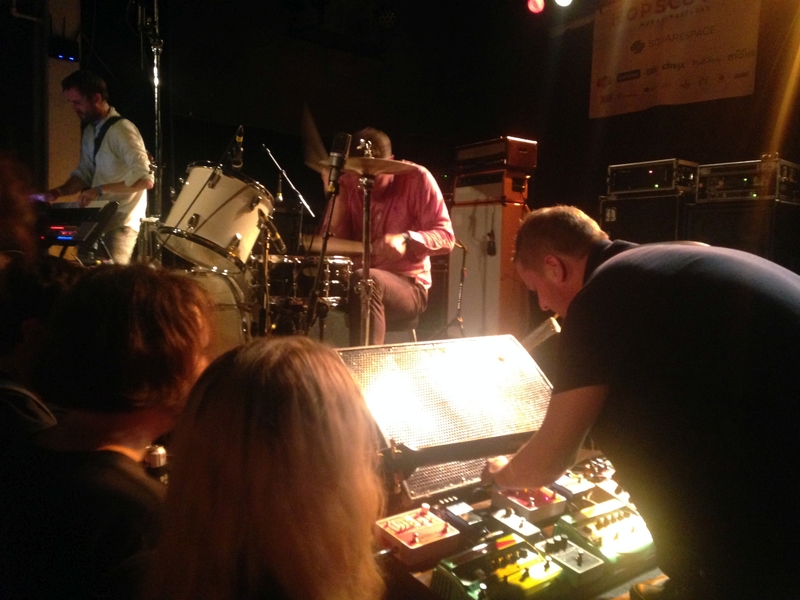 However, unlike many of the recent so-called “nu-gaze” bands, they actually have the pedals and playing chops to do their forbearers justice. 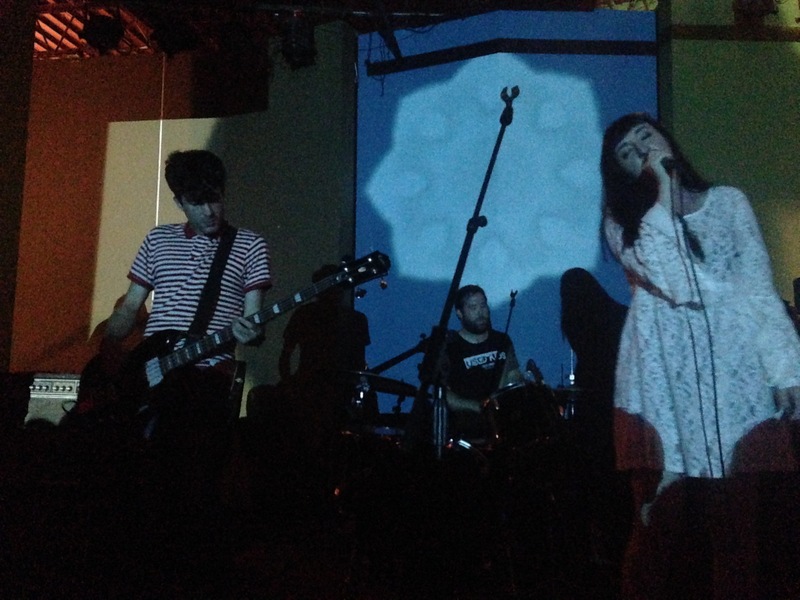 Where many shoegaze revival acts are overly reliant on reverb to do what their middling voices and delicately played instruments can’t, Wildhoney played fast and fiercely, while never sacrificing their shimmering pop edge. I’ve caught them live a few times now, and they get more powerful with every show. Eartheater is the solo project of Alex Drewchin. Her comfort zone is cryptic psychedelia, and usually her voice is densely processed on record with loops and glitch effects. Live, much of this artifice is stripped away, and she sounds spare and haunting. Appropriately, many in the audience sat reverently on the floor of Kennedy for this set. Hopscotch’s improviser-in-residence Greg Fox, who also plays with Drewchin in Guardian Alien, sat in and hinted at deep jazz drumming chops with his understated accompaniment. Over the last 6 years, Hopscotch has had no shortage of loud acts. So it’s no small feat to say that Brooklyn’s Sannhet may be one of their loudest bookings to date. The band has created an idiosyncratic mesh of noise rock and instrumental metal that is as pummeling as it is gorgeous. 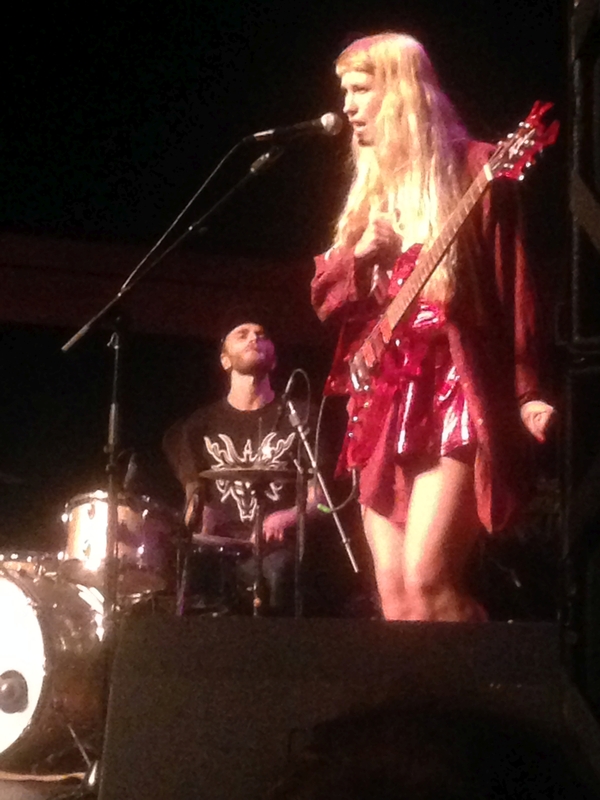 Their set included another guest appearance by Greg Fox on a second set of drums. If you enjoy music in any way related to amplified guitars, you owe it to yourself to check out this band. What else can be said about Battles? The brilliant NYC three-piece has jumped every musical hurdle there is to make some of the most stridently original, exciting music of the last decade. Very few bands could survive the departure of their frontman and continue to make music so poppy and strange, but then, very few bands are Battles. I was stagefront for most of the set, and seeing them close with “Atlas” was a Top-3 Hopscotch moment. Tycho is the electronic music project of San Francisco’s Scott Hansen. He stirs around a catchy stew of starshine analog synths and Instagram-filter pads, seemingly very influenced by Warp Records artists like Boards Of Canada and Bibio. I’ve caught Tycho a few times over the years, and Hansen’s act has improved considerably with the addition of a full live band. They are the premiere example that electronic music could use more live drummers. While their set had a few technical difficulties, they pulled through to an otherwise blissful show. The critic Gary Suarez on Twitter described this Burlington two-piece drone act as “the sound of the woods on fire” and I’m inclined to agree. Their deep drone was hypnotizing and one of the few moments of introspection I had this year at the festival. I sat on the floor of the Hive listening in a trance as Lost Trail’s songs slowly took new forms and shapes. Go dig into their deep discography, you’ll certainly come out with something you like. 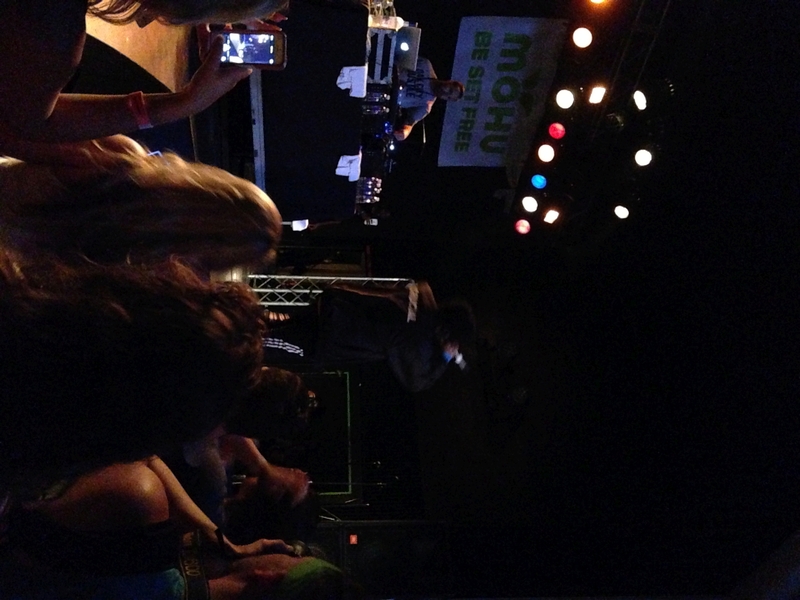 If you’ve ever heard the hypnotic opening bars of Clipse’s “Grindin,” you know the appeal of Pusha T. The Virginia rapper is a swaggering, larger-than-life presence in rap, and his live show reflects this. 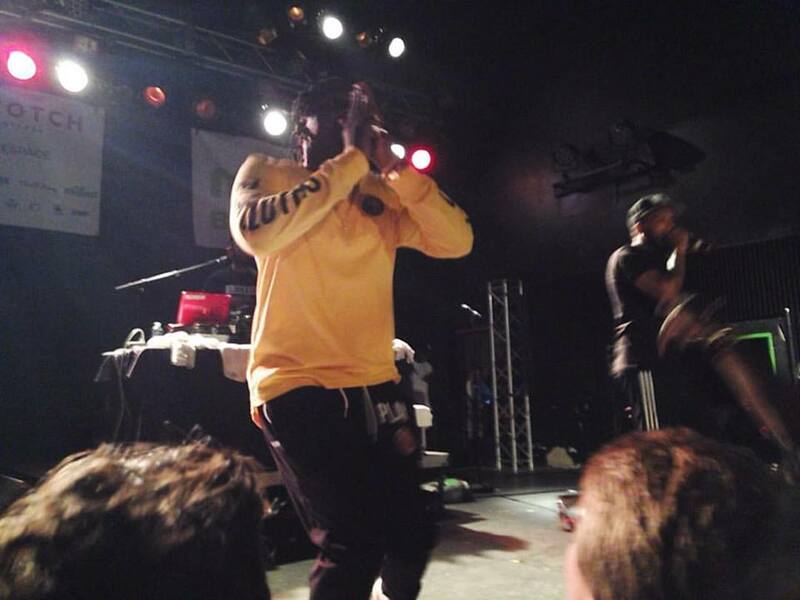 A packed Lincoln Theatre bobbed and lumbered against each other as Pusha ran through hits like “Numbers On The Board” and “Trouble On My Mind.” It was a fantastic way to end Friday and I was exhausted afterwards. Dominick Fernow’s harsh noise project Prurient has played Hopscotch before. Unlike his 2011 appearance though, Hopscotch gave Fernow the run of the Fletcher Opera Theatre this year. Which, to me at least, merited leaving Dwight Yoakam a bit early. As a sponsor banner hung above him, Fernow stalked the stage and thrust his mic at invisible enemies while abrasive, cacophonous noise filled the theatre. It was an odd thing to watch, but somehow felt totally appropriate for this festival. Like Ice Choir and Chairlift, Breathers are a band firmly planted in the 1980’s New Romantic scene of pop. Their set was 100% kitschy pop driven by shimmering keyboard lines indebted to classic acts like Tears for Fears and Aztec Camera. Frontman Lee Gunselman should be applauded for filling the 80’s frontman archetype so well, his infectious mannerisms and dancing made the set for me. Sheer Mag have been hotly tipped this year, and rightfully so. The Philadelphia band’s brand of blown-out, soulful garage rock was revitalizing and tapped a raw nerve in many (including myself) who were tired by the last day. 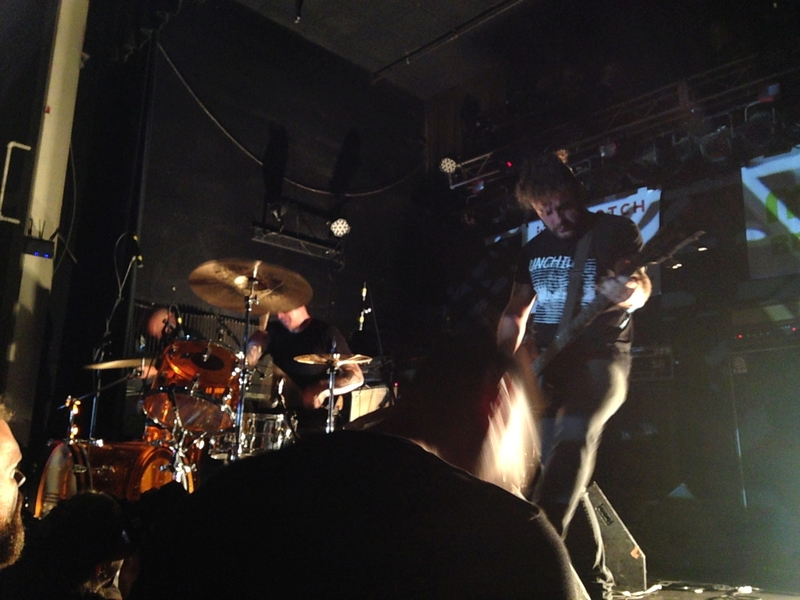 The whole of Slims grinded against each other as the band ripped into song after song of high-energy punk. I loved what I saw of this set, although I did leave a bit early. One can only take so much pressed flesh. Zs were somewhat plagued by technical difficulties this year, delaying their set by some 50 minutes. 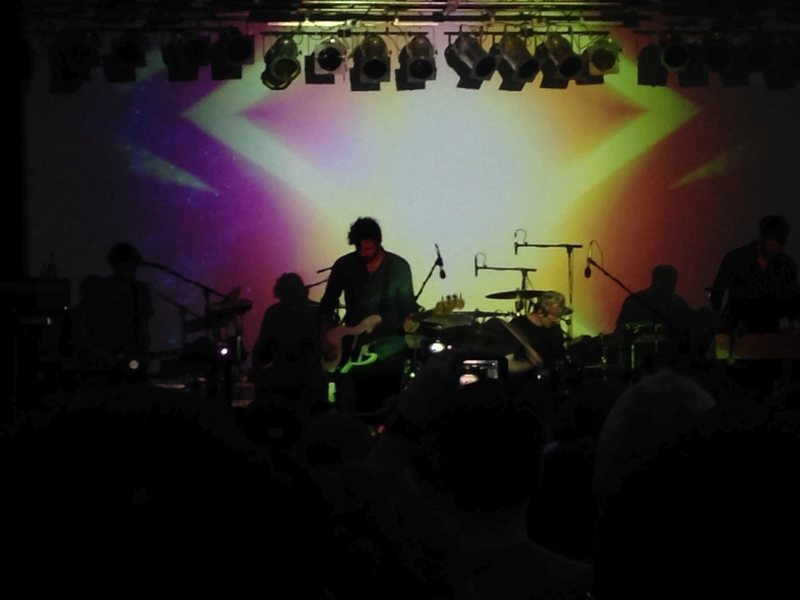 The bit that I saw showed a band in full command of their noisemaking capabilities. Squelching noise met frantic saxophone met Greg Fox’s furious drumming and created a lovely soup of anarchic noise. Judging by the faces of some last-minute walk-ins in the crowd, its not for everyone, but if you love being assaulted by pure sound, Zs is your band.